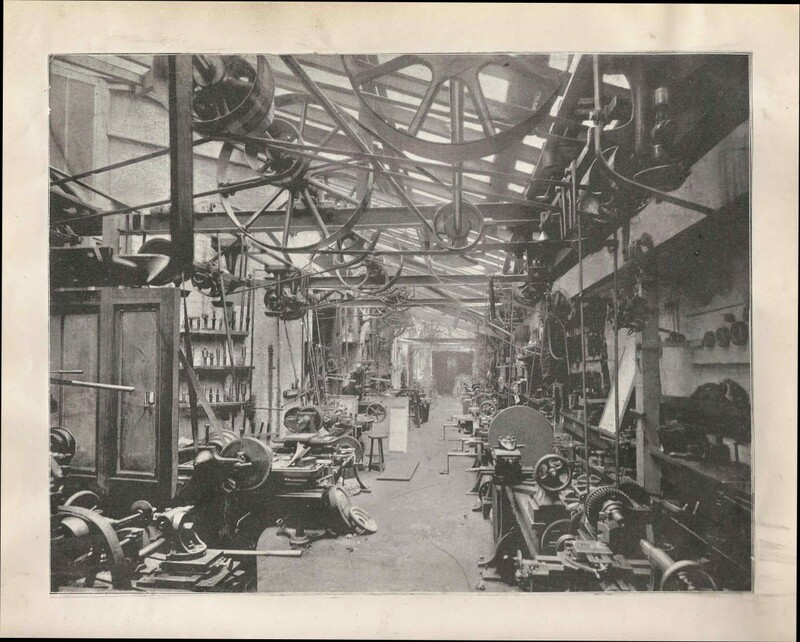 The Museum has acquired the archives and collection of one of the most important instrument manufacturers in Britain in the 19th and 20th centuries. The instruments have now all been added to our online database. To mark their cataloguing, a small display was opened in the Museum’s entrance gallery in May 2011. This web version reflects the physical display. It illustrates the range of Elliott’s work, from drawing instruments to industrial measurement, navigational devices to engineering models. This indicator records the performance of a steam engine. The stylus is moved vertically by the piston and marks a trace on prepared paper attached to the revolving drum. Instrument making companies readily branched out into the construction of working models. From the company address of 449 Strand in London, this horizontal reciprocating engine must date from the period 1864-1886. This navigational instrument is used for the rapid solution of problems of speed and distance. It was invented in 1892 by Prince Louis of Battenberg; this Mark III version probably dates from the 1920s. Battenberg, who anglicised his German surname during the First World War to Mountbatten, was a naval commander and grandfather of the current Prince Philip. A simple counter activated by the projecting lever at the front. The succession of gear wheels can be seen with the sliding cover open. Dating from about 1905, this combined speedometer and odometer set was intended for the French market. Early cars did not have an instrument panel and this set would have been purchased as an accessory, as still happens with bicycles. Elliotts continued to develop and refine their range of speedometers. The black-faced dial probably dates from around 1920.